It has a combination of wood grain, aluminium and classic appointments. The American Stratocaster Faded Ash features a never before seen brown anodized aluminum pickguard. This accentuates the attractive wood grain visible through the ash body's elegantly faded satin lacquer finish. Together, these create a complete aesthetic entirely new in nearly six decades of Stratocaster design. 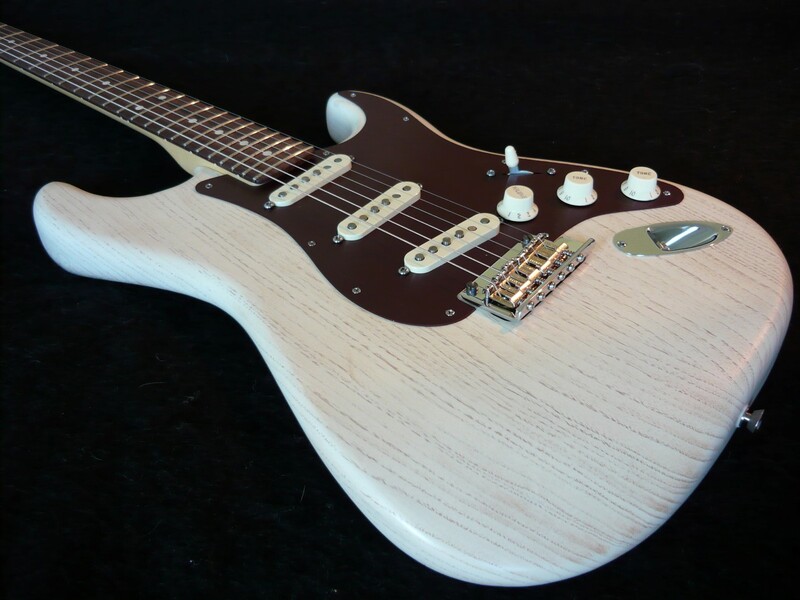 Other premium features include a tinted maple neck with satin urethane back finish, 9.5"-radius rosewood fingerboard with 22 medium jumbo frets, three Texas Special Single-Coil Strat® pickups with five-way switching, aged white control knobs (master volume and "no load" tone control), and two-point synchronized tremolo bridge with vintage-style bent steel saddles and high-mass block.